It may be one of the last few weekends before it starts rainy season in Pacific Northwest, the Labor Day weekend turned out to be a very pleasant and comfortable one in Portland where over 60 golfers and their family’s members from Club 808 and Formosa Golf Club (FGC) celebrated the holiday and enjoyed a peaceful and quiet retreat. Among them 26 people were from Club 808. It was a quite joyful and interesting trip that not only FGC, the event organizer, carefully planned and selected golf courses, hotel and restaurants, but also it offered a value package, respect and friendship, and guidance of golf etiquette and rules. Friendship and mutual understanding comes from very basic and tinny things. Each of our members felt warm welcome, high respect and equal treatment from FGC and their members. We not only were given a gift pack with 1 golf towel and 2 sleeves of Callaway balls, but also were subsidized $10 each day for 3 days per person by FGC. In addition more 75% of our participating members got cash awards in the three day golfing. 50% of them got $25 or over cash awards for the games. 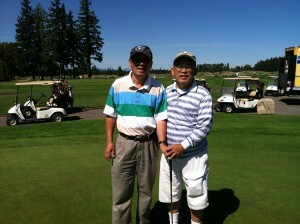 Ping Hsu, FGC president, told me that jointly playing golf and having fun are far more important than others. That was their way to treat our members! With 118 bunkers all over the 18 holes in the prestigious Reserve Golf Course, it was definitely a challenge course to play. It is averaged about 6.5 bunkers per hole. If your ball does not fall into any of bunkers, you got to be kidding. Riverside is a nature landscaped golf course. But it is not that natural to play and to win. This was the third course we played and had scramble game. Except for 1st place team had -4 par to win the title, 2nd place had just even par. The 3rd, 4th and 5th team had +1 par. What a course! Most of us might know the fact that Portland has few good Chinese restaurants. With the organizer’s selection, we had wonderful meals in the trip. We would never forgot the experience that we had an authentic and high class Vietnamese dinner with 7 courses. Although we did not know some of the eating ways in Vietnamese food, it was great to learn and enjoy! 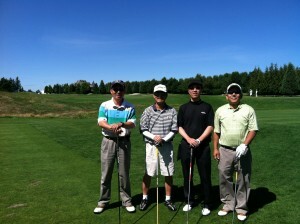 The trip package included three day golfing (including LPGA course), Sheraton hotel and breakfast and dinners. FGC management team worked diligently and negotiated the package price from $740 down to $340. It offered the best value for every participating golfer. Many of our members were impressed with the golf passion demonstrated by FGC members. 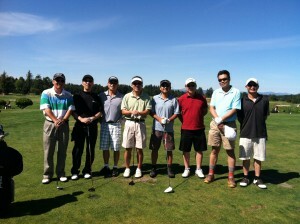 No matter how low or how high the handicaps are, each Formosa member shown their love and passion to golf. About 40% of their attending members were high handicaps. However their spirit and enthusiasm were high. Their golf etiquette was excellent and they kept good pace. They seemed to have solid understanding what golf was and actively participated it. Ping Hsu was one excellent example. His both legs were crippled and his handicap was about 35.5. 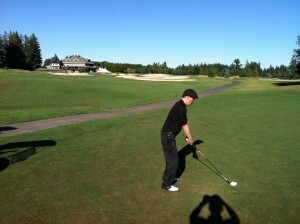 But he walked on the golf courses and played holes one by one with high confidence and passion. He did move a lot of us. If he can do it, every of our members can do it! essential elements in this kind of game. To become a more matured club, we have a lot to learn! While our golfers being busy in the golf courses, our family members did not stop touring and shopping around. Thanks Grace Yu’s support, our family members jointly and individually toured Rose Garden, Japanese Garden and Chinese Garden and major shopping places. Oregon is such a good shopping spot. It won’t be surprised when you saw those cars driving back North with full of goods load! We are blessed to have such a great and friendly golf club in our community. There are many things we can learn from Formosa. We look forward to having more joint, inviting and invited games between our clubs. 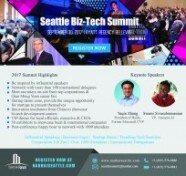 Great gratitude and appreciation go to Formosa management team Ping Hsu, Kenneth Chang, Al Liu, Kevin Lee, Frank Mao and Phil Tsao for their excellent planning, quality service, hospitality and dedication to make this event such a big success! Thank for our participating members, family members for showing our passion to golf and bridging friendship among clubs!